Founded in 2015, MK Machining set out with the goal of delivering innovative products to the precision shooting community at an incredible value. All of our products are manufactured using cutting-edge technology and materials right here in the USA. 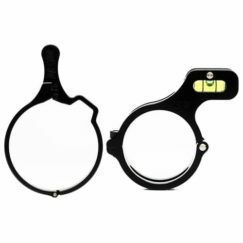 Upgrade your optic with one of our throw levers, speeding up magnification changes and target engagements without breaking the bank. 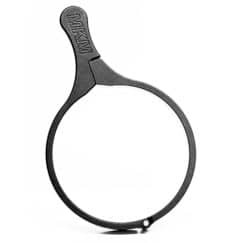 A throw lever is a useful addition for any scope from hunting to competitive target shooting. MK Machining thow levers are designed specifically for each scope for a precise fit and premium feel. No universal solutions here. Our levers are proudly made in the USA from USA sourced materials. 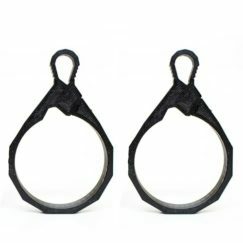 We currently offer both aluminum and 3D printed polymer throw levers. Our aluminum levers are proudly machined in the USA from durable 6061 Aluminum for a preminum feel and appearance. 6061 aluminum is aircraft grade for increased aluminum throw lever durability. Our aluminum throw levers feature a Type III hard coat anodization for increased wear resistance, increased abrasion resistance, and corrosion resistance. They install in a minute or less, and come with a lifetime warranty. 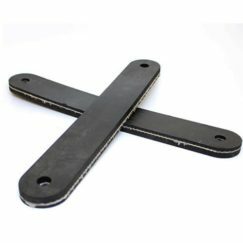 Our polymer levers are proudly printed in the USA from durable PETG polymer, and feature a metal thread insert for increased strength when tightening. We offer polyer levers for over 80 different scope models with new models being added. 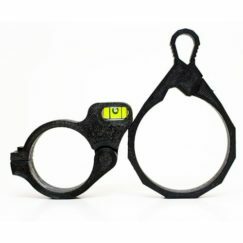 Polymer levers offer unique benifits to shooters of all kinds. For our polymer levers we are constantly researching the latest materials for increased strength and durability.They install in a minute or less, and come with a lifetime warranty. Now Offering new Material Types. Make sure to check out our new FDE Nylon Material and our new Super Strong Custom Carbon Fiber Nylon. We are proud to announce that we are now a Vortex Optics, Athlon Optics, and a Kahles/Swarovski Optics Authorized Dealer. Below you will find the scopes we currently have in stock. If you do not see the optic you are looking for contact us and we would be happy to order you one and provide an accurate lead time from Vortex . 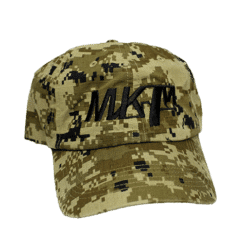 All precision optics come with FREE MK Machining accessories. Please see product description for details. 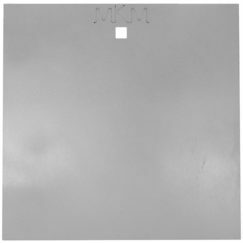 AR500 Targets & Mounts — 3/8″ thick waterjet cut AR500 steel, for the most durable target possible from edge to edge. Cutting via laser or plasma leaves a soft edge on the metal because of the extreme heat involved. This soft edge can lead to chipping or cracking of the steel. Targets come in a number of different sizes and shapes. 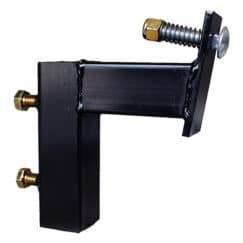 We also offer a number of different mounting solutions. Orders of up to 70lbs ship with a single flat rate price. MK Machining is proud to offer a number of Reloading Accessories including reloading trays, brass markers, and powder funnell kits. Machined from 6061 Aluminum, black anodized, and finally laser engraved for a truly top notch reloading tray that will maintain its finish for years to come. 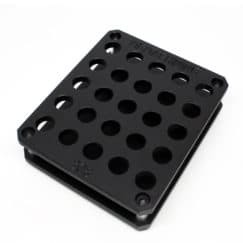 Modular design features interchangeable top plates in different sizes, and the open-sided design prevents powder from getting stuck in the tray. 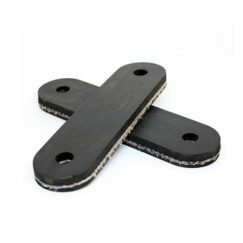 Top plates are counterbored for positive stacking of units when not in use. 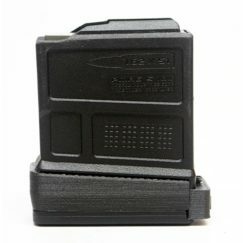 If you’re looking for a loading block that’s made with as much precision as your ammunition, look no further. Easily tell your expensive brass apart from others! This simple rifle brass marker is quick and easy to use, taking just seconds per case. Push your brass through to put stripes on the casing, or place the device on a flat surface and spin the brass to mark with rings. Holes for Sharpie markers are offset vertically, allowing for up to four stripes or rings on your brass. With over 40 colors of fine point Sharpies available, we’re confident you can find a combination that sets your casings apart. Perfectly sized to throw in your range bag with a few markers. Proudly printed from Taulman TECHG polymer to offer a precise and durable product at a reasonable cost. We take our printing seriously and use a fleet of industrial oriented machines using material sourced in large lots for consistency. Every part is inspected and post processed for a clean appearance. Precision fit and premium function, at a great price. We use additive manufacturing to produce this funnel set with an “Electrostatic Discharge Safe” material that prevents static buildup. Typically reserved for use with sensitive electronics, we have found this material to produce exceptional powder flow results at a pleasing cost when compared to subtractively manufactured funnels. 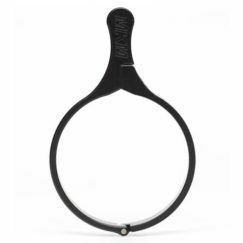 Four small handles in the corner provide an easy gripping surface for two fingers, without disturbing funnel balance caused by non-symmetrical design. Spiral fluting is mostly aesthetic, but does provide powder agitation and helps prevent bridging particularly upon large powder dumps. 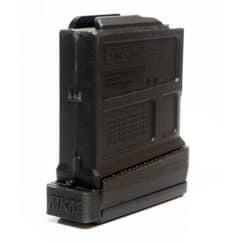 Add capacity to your magazines with our extensions. Easy to install, extremely lightweight, and proudly printed on top notch machines from durable TECH-G polymer, a modified PETG formula. Our extensions come with a lifetime warranty, and are made in the USA! Reuses stock spring and follower. NOW AVAILABLE magnetospeed chronographs, magnetospeed mounts, and package deals. Available NOW T1000 Hit Indicators. Ensure your reticle isn’t canted when shooting long range. Just a few degrees of cant will cause considerable shot dispersion at longer ranges! 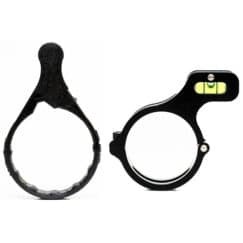 Streamlined designs sized to sit just over the focus knob on optics. 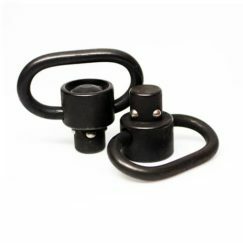 Hinged construction installs quickly and is low profile enough to fit under nearly all scopes without removing for install. One-bolt installation makes perfect setup a breeze. Make sure to check out our affordable line of polymer scope and rail mount levels or look at our premium aluminum scope and rail levels machined from 6061 Aluminum with a Type III Hardcoat Anodization for a precise fit and maximum durability. 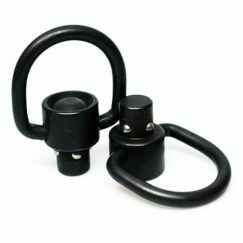 MK Machining offeres a number of precision accessories including universal sun shades, bolt knobs, and QD sling swivels. Precision accessories at low prices! Make Sure To Check Out Our Featured and Best Selling Products Below!! Check Out Some Pictures of Our Products! !